The Mega Man series is home to some of the greatest video game music of all time, and now Capcom wants you to legitimately own these treasured chip tunes through iTunes or Amazon. The Mega Man Soundtrack is now available through the digital networks, meaning you can rock to Dr. Wily Stage 1 from Mega Man 2 or Spark Man's theme from Mega Man 3 whenever you please. The immortal tunes from Mega Man through Mega Man 4 have been collected in five separate volumes which sell for $7.99 and $8.99 through Amazon and $9.99 and $10.99 through iTunes. Of course the entire collection of NES compositions have been jammed in, but surprisingly, Capcom is also including some select choices of PlayStation remixes as well. These game ports never physically came to America, but they have been available on PSN for quite some time. Sorry Mega Man 5 and Mega Man 6 fans, the few that exist, but no luck for you! You'll have to wait for further incoming releases, which have been confirmed at Capcom Unity to be coming before the end of the year. 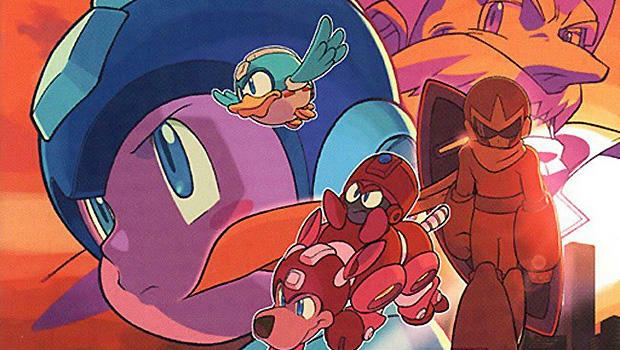 Mega Man 5 through Mega Man 10's songs will all be collected for a final release. Before Mega Man, individual video game levels did not have an original theme song that contributed to the atmosphere of the world you were playing in. Thanks to Capcom's eternally popular series though, we now have huge orchestrated soundtracks in both the biggest of blockbuster games and the most humble of indie games, like Shovel Knight. Just one of the many reasons this revolutionary series demands love… and demands another chance on major HD consoles. What your favorite Mega Man song? It's so hard to choose from Mega Man 2's options like Bubble Man, Flash Man, Metal Man and Dr. Wily Stage 1.